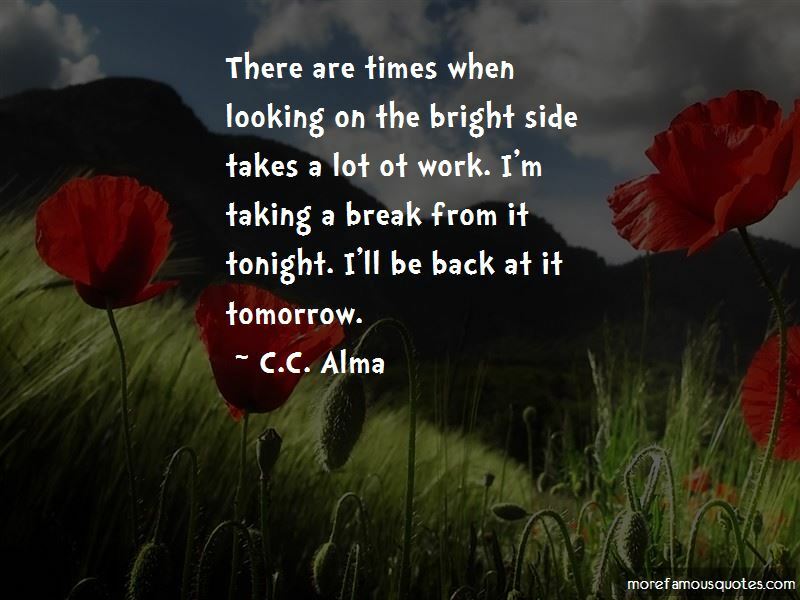 Enjoy the top 2 famous quotes, sayings and quotations by C.C. Alma. 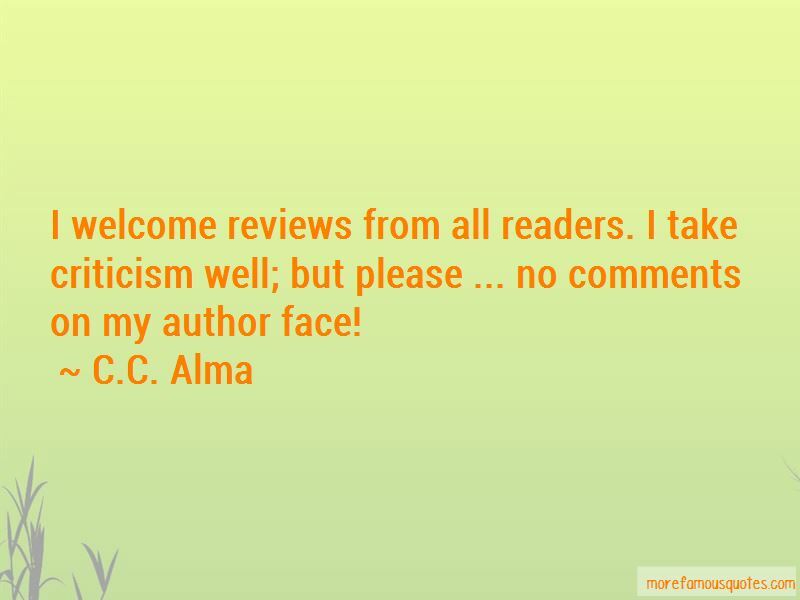 I welcome reviews from all readers. I take criticism well; but please ... no comments on my author face! Want to see more pictures of C.C. Alma quotes? Click on image of C.C. Alma quotes to view full size.